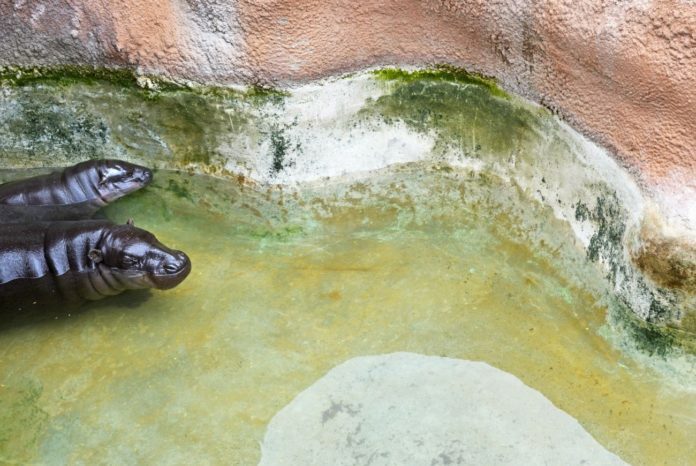 Clover a mother pygmy hippo stays close to her 5-month-old offspring that was born at Gladys Porter Zoo in Brownsville in October of 2018 and is now viewable at the pygmy hippo exhibit. The pygmy hippo is a threatened species according to the the World Conservation Union. BROWNSVILLE — Rio Grande Valley residents have a sure bet to see one of the world’s most elusive and hard-to-study animals on the planet at the Gladys Porter Zoo.